The G5 didn't work out for LG, so it made some changes with the V20. Now we're mere weeks away from the G6, and it's been a pretty leaky phone. The best images of the unannounced phone we've yet seen are now making the rounds. It's not the prettiest phone, but maybe the pics don't do it justice. The images above match what we've seen in past leaks. The G6 has a screen with rounded corners, but weirdly, the radius of the corners doesn't match the radius of the phone's corners. The bezels are slim, and there's the usual dual-camera array on the back of the phone. There's also a fingerprint sensor on the rear, which likely acts as a power button as well. 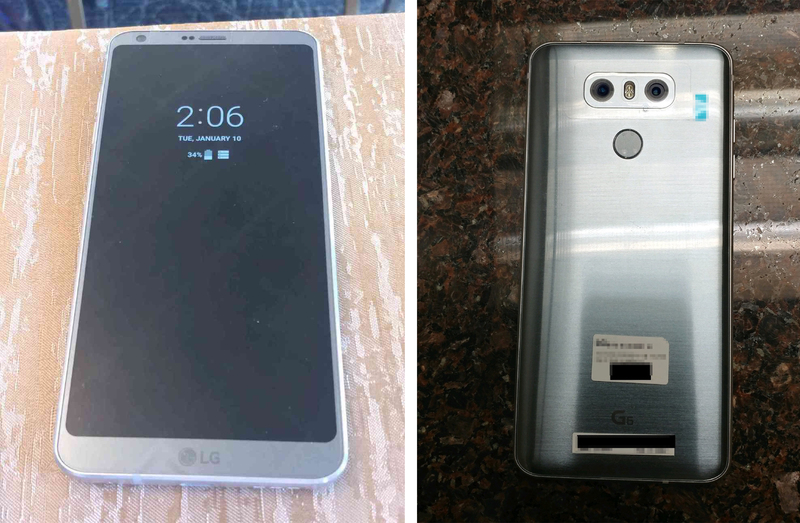 The G6 is expected to pack a Snapdragon 821, 4GB of RAM, and a 5.7-inch display with an 18:9 aspect ratio. The phone will likely be announced on February 26th at MWC and could launch in the US on April 7th.